Wait – How much? Really? Back on December 10th last year I wrote the post entitled: “Now LIVE on Delta.com – The greatest threat to “free” Medallion upgrades ever – Upgrade with SkyMiles“. The part I feared the most was what was, at that time, the threat promise by Delta big wigs to push these approximate penny per SkyMile upgrades to the Fly Delta App so that, and these were their words, on the way to the airport you could buy an upgrade for $170 or 17,000 SkyMiles – Ugg! But the reality I have found has been much better than suggested and I am thrilled so far. Take a look a the screen shot of my phone at the top of this post. One day before the 5 day Diamond Medallion upgrade window opened up, I was being offered an upgrade for my trip to New York consisting of a short flight on a CRJ900 from South Bend to Detroit (per FlightAware). WHAT? 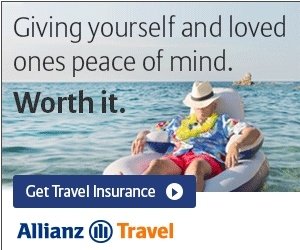 This I love as well because if anyone is brain-dead drunk stupid enough to fall for that kind of an offer and value to their SkyMiles – I say let them spend them (as they will all be gone soon). I mean for that kind of mega SkyMiles number I could fly in a Delta Premium Select seat / experience this summer to Europe for a week from Detroit – ROUND TRIP – and still have a few SkyPennies left over. Bottom line is, so far, I am guardedly impressed with the Delta selling 1st class upgrades on Delta.com and in the Fly Delta App. If they can resist the urge to just give away upgrades for almost nothing I am coming around to the new normal of 2019. My Medallion upgrades this year have been perfect as a Diamond (with one major issue I will be positing about soon). ← Delta A330-900 coming in May, Man arrested in a Skyteam lounge, Comedian claims Delta gate agent racist & other travel news headlines! This is yet another reason why we can’t have nice things. Stop broadcasting to Delta that their first-class monetization is stupid or they’ll fix it and your complimentary upgrades will disappear. @FNT – LOL – You don’t think Delta micro-studies all the numbers each and every day? I don’t know, I was offered a $79 upgrade for First Class for a recent trip on the ATL-LIT leg of a trip, and I have another First Class upgrade I picked up at $89 for an upcoming trip on the DTL-BDL leg…. My upgrades are down to 50% this year and each time I’ve been #1 for 0. @Tom – Oh that is dirty if true. WoW! As far as the paid upgrades, my next trip is LAX-MEX, and a few weeks ago the upgrade to first class price was $749 per person, one-way. It slowly decreased to where it is now, $279 or 27,900 miles. Thinking about it. The Economist magazine just noted that number of first class seats on many international flights (including Delta’s) are being reduced. This might impact our upgrades. @Lee – There are no free upgrades on international flights. The change to fewer seats via the D1S changes will make Global Upgrades harder to use! As a Diamond in a hub city I’m 9/9 this year on upgrades. One long segment I used a RU to get to the top of the list after not clearing ahead of time. My wife and I have a flight 5 days out. I am diamond and used an Amex coach companion certificate. I also booked another passenger with no status using miles on the same flights. I was monitoring the seat availability and the upgrade offer the non-status member was receiving. With 9 FC seats remaining out of 16, the offer was for about 14000 miles to upgrade that leg. Someone must have taken it, because there are now only 8 seats remaining, and she no longer has an option to upgrade. Kevin, or someone bought the FC seat. Unfortunately, I think Delta has figured it out. I used to get a fairly decent first class for miles upgrade. Rarely happens now. It used to be $200 to $300 and now $500 to $800. Update: Once the 5 day window hit, my wife and I were both upgraded. I am very happy with the new companion upgrades benefit delta added last year (she has no status).